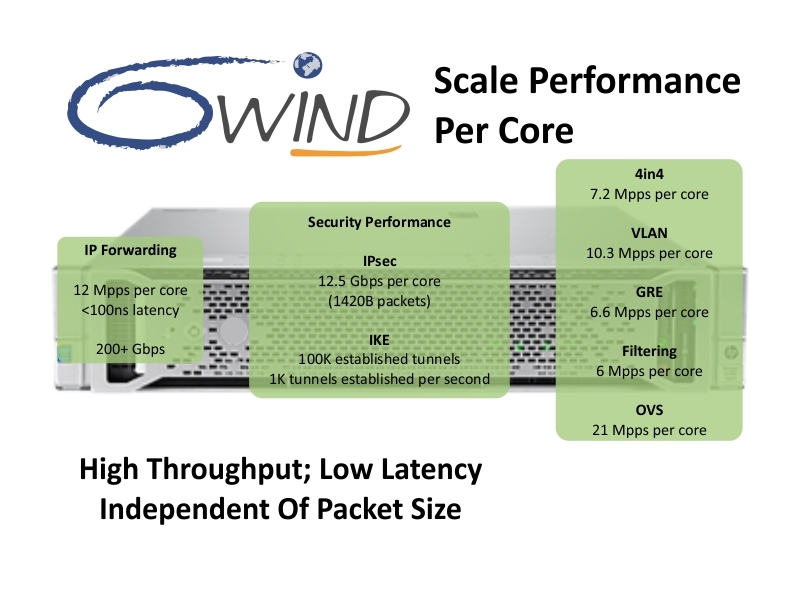 All 6WINDGate fast path networking protocols are designed for the highest throughput with low latency and linear scalability with the number of cores. Our performance is independent of packet size except for IPsec. Here you can see examples of our data plane protocol performance per core on Intel Xeon E5-2690 v3 @ 2.7GHz. Detailed benchmarks for the different supported platforms are available upon request.